I am a big animal lover so this was an emotional film for me. Pit bulls have a bad record here in the states. We hear the argument time and time again. Nobody should ever own a pit bull or they're great family dogs. What do you do? What are your thoughts? To me it's not even about the breed of the dog. If you love your animal they will love you back. This story happens to involve a pit bull. Which is why I brought up that specific breed. Donna suffers a great loss, but she turned this tragedy into something good that other animals will benefit from for a long time. A truly outstanding story of strength and courage. Based on the true story that successfully passed Susie’s Law in North Carolina, which seeks stricter punishment for animal abusers, Susie’s Hope brings to life the inspirational relationship between pit bull attack survivor Donna Lawrence and Susie, a pit bull-mix puppy found beaten, burned and left for dead. Recognizing reflect and abuse were to blame for the tragic attack that nearly claimed her life 10 months earlier, Donna resumes the battered animal and accepts her as family. Together, they learn to heal, love and forgive as thyey lead a historic effort to seek justice and protection, not only for Susie, but all animals. Starring Emmanuelle Vaguer (40 Days and 40 Nights), Burgess Jenkins (Remember The Titans) and Andrea Powell (Ender’s Game, The Twighlight: Breaking Dawn Saga: Part 2), Susie’s Hope is an incredible story of love, loss and redemption. Susie was found nearly dead in Greenfield Park in Greensboro, North Carolina on Aug. 20, 2009. Just a puppy, Susie had licked the face of her owner's newborn baby. Her owner became violent--She was beaten so severely her jaw was broken. That wasn't enough, though. She was then set on fire and left for dead. Incredibly and against all odds Susie survived. Donna Lawrence adopted her 2 months later. 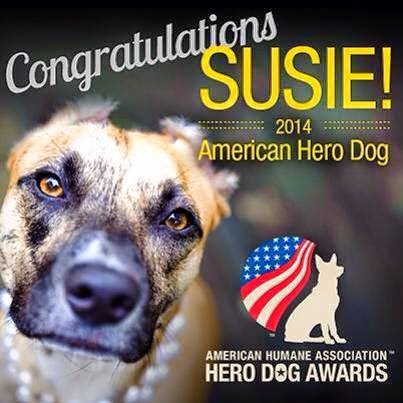 Susie is now a trained therapy dog and even won the American Humane Association's American Hero Dog this year! 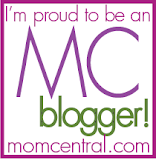 Get all the info you need at Susie's Hope website. You can also make donations to their charity.